Subject yourself to our opinions, minions. 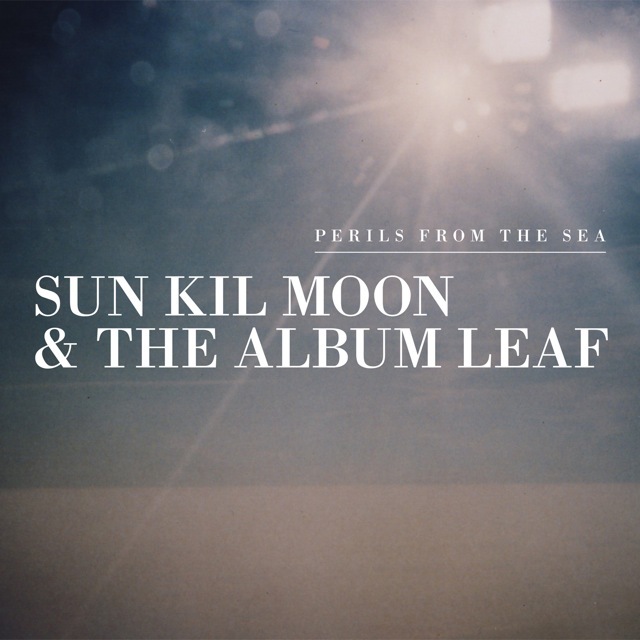 Two of Open Bar Reception’s previously-featured artists, Mark Kozelek and Jimmy LaValle, have teamed up under their pseudonyms—Sun Kil Moon and The Album Leaf, respectively—to release one of my most highly-anticipated albums of 2013, Perils from the Sea. At first blush, the pairing seems unorthodox—mixing Kozelek’s low, droning ruminations with LaValle’s electronica-based bleeps and gurgles, which brings to mind the more electronic side of Radiohead as well as another well-known sound engineer/vocalist combo, The Postal Service. But, as with most things Mark Kozelek touches, this album is fantastic, even if the combination sounds strange at first. Maybe this SKM/TAL combination is a sort of next-decade Postal Service, although I’d venture to say that Perils from the Sea imparts a depth and somberness that Ben Gibbard and company never quite attained. That’s mostly thanks to Kozelek, a sort of godfather of down-tempo and indie-folk thanks to his first band, Red House Painters. LaValle’s contributions shouldn’t go unmentioned, though, as his 8-bit synth sounds and Daft Punk-esque techno drum machines bolster the whole project. In fact, if it weren’t for LaValle stepping out of his comfort zone here, there wouldn’t be much to separate Perils from the Sea from recent Sun Kil Moon albums or records Kozelek releases under his own name. Kozelek’s lyrics touch on relationships, traveling, touring, family, hotels, and his own songwriting process and career. As usual, he communicates them with an honesty and bluntness that makes every song a valuable slice of Kozelek’s musical output. Another thing I like is the length of the songs. Not only do you get the most bang for your buck—a solid hour and 17 minutes of music—but this genre seems to lend itself to lengthy, repetitive compositions. Not one tune is under five minutes, and half of them stretch over the seven-minute mark. Kozelek’s pondering verses expand over these longer tunes, weaving in and out of LaValle’s bloops and bleeps entrancingly. “Ceiling Gazing,” an eight-minute tune composed mostly of droning organs, seems to be the most popular track, judging from iTunes ratings and what I’ve been reading from other critics. It’s a decent song, but definitely not one of my favorites. I much prefer the excellent “By The Time That I Awoke” or lead singles “What Happened to My Brother” and “Caroline.” The plodding “You Missed My Heart” tells a strange story of murder and arrest; something in the lyrics and the way Kozelek sings the verses reminds me of Modest Mouse—and maybe that’s not far-fetched, keeping in mind Sun Kil Moon’s 2002 collection of Modest Mouse covers, Tiny Cities. “1936,” “Gustavo,” “Baby In Death Can I Rest Next To Your Grave” and “Here Come More Perils from the Sea” shore up the rest of the album sturdily. If I had to make a complaint, I’d say that by the time you’re through with the whole affair, some of the songs start to blend together because of the formulaic nature of these tunes—Kozelek’s rise-and-fall lyrical styling in front of LaValle’s drum machines starts to feel a bit pedestrian. I like the repetition within each track, but one has to wonder if the formula was used one too many times. If you’re a fan of Mark Kozelek’s work, you’ll love Perils from the Sea. If you’re not, maybe this is the moment of his career that can be your ticket in. I highly recommend listening to this album with headphones, or at least loudly. You can’t hear the intricacies (especially LaValle’s background atmosphere-building parts) by playing this record quietly. While unexpected, this is a surprisingly great combination that in turn produced a great record. Here’s hoping this isn’t the last time Kozelek and LaValle team up. Are there exact dates yet? The album was released this past Tuesday! I got it on iTunes, I’m assuming it’s on sites like Amazon as well.